Last week I was in South Dakota to “kick-off” a graduate certificate program for clergy co-sponsored by Dakota Wesleyan University and the Dakotas and Minnesota Conference of the United Methodist Church. Several pastors wanted more information on Donor-Advised Funds(DAF) as their congregations had received gifts (often called grants) from a local community foundation DAF. 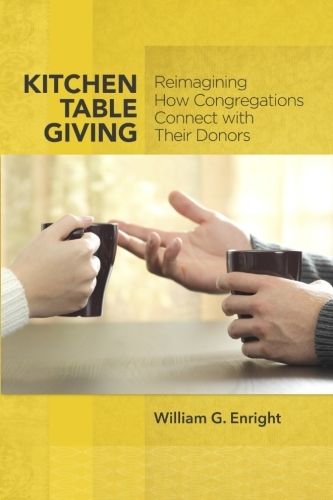 Donor-advised funds are an emerging fundraising opportunity for congregations! If you have someone in your congregation who gifted you via a DAF, thank them. Don’t thank the community or wealth management firm that sent the check. Personally thank the donor! Engage them in a pastoral conversation. Learn from them! Holders of donor-advised funds have much to teach us about giving. If the gift was designated as a “grant” talk with them as to how they would like to see their gift used. I have observed that people who create DAF’s are often older people. As an older person myself, we are interested in legacy issues: How will our family, our friends, our church remember us? Such a conversation can be life-changing for both the donor and the congregation. [ii]Giving USA Report on Donor Advised Funds. See: First Day Podcast from The Fund Raising School, Indiana University Lilly Family School of Philanthropy, 7/16/18.